Cover illustration by Stephanie Tkach of PageWeaving Cover Designs. 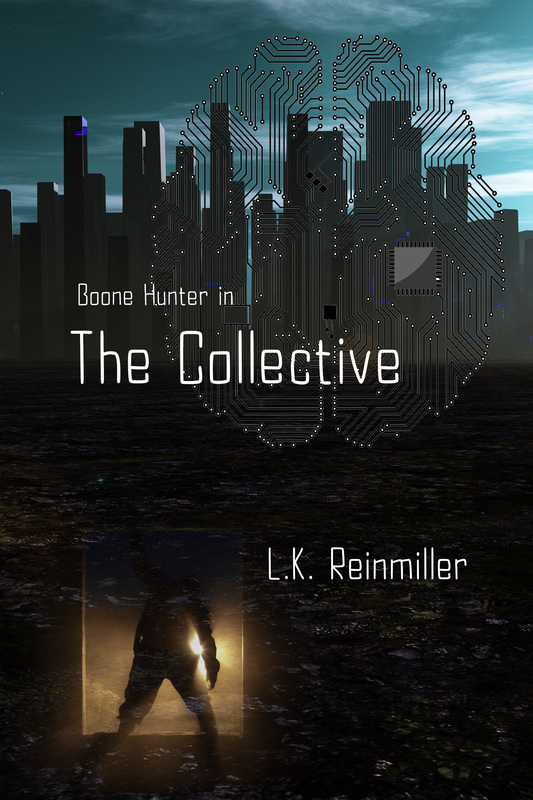 Boone Hunter is a boy caught between powerful organizations seeking to destroy each other. The Collective, a shadowy collaboration of faithful guardians standing between the world and chaos and Malfaisant, the creation of a perverted megalomaniac determined to annihilate The Collective and twist its guardians to his corrupt will. Boone is devoted to one and sought by the other. His future is the future of our world. “Last night I went to sleep in my own bed, dreaming about my twelfth birthday today. Well, my foster family’s bed, but it was mine until the state sent me somewhere else. This morning I woke up somewhere else. I was in a forest. I’m a city boy, but the trees and moss and ferns were my first clues I wasn’t in Chicago anymore. I don’t know much about nature, but I know it doesn’t grow in my bedroom or anywhere around my house. Well, my foster family’s house, but let’s not go there again. I was also naked. I don’t sleep naked. The whole foster-family-with-5-boys thing kind of rules that out. I lay on my back gazing up at a cloudy blue sky while my eyes registered the trees, my skin registered my lack of clothing, my ears registered the baying of dogs, and my brain screamed two words. Enjoy the first seven chapters with Amazon's free Look Inside feature.